One of the prominent names in real estate market, Paramount Group has launched a residential township, Paramount Emotions. Located in the upcoming area of Greater Noida West, the property offers affordable 2BHK and 3BHK apartments with wide balcony and storage and commercial shops which are spacious and provide good natural lighting. The prices of these apartments are initiated with an affordable price list. Paramount Emotions is a themed-based project with 3 sides open flats and better roof insulation. Where is Paramount Emotions located? Greater Noida West, a prime residential locality for house seekers in Greater Noida. What is available flat size in Paramount Emotions? Flat sizes in the project range from 950.0 sqft to 1710.0 sqft. What is the area of 2 bhk in Paramount Emotions? The size of a 2BHK unit in the project ranges from 950.0 sqft to 1075.0 sqft. What is size of 3 bhk in Paramount Emotions? 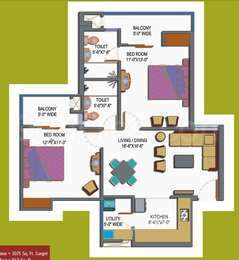 The area of 3 BHK apartments ranges from 1160.0 sqft to 1710.0 sqft. How much is the actual area of Paramount Emotions?The area of the project is 11.28 Acres. 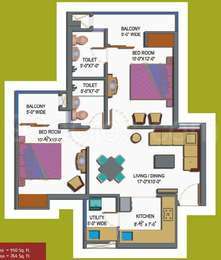 How much is price of 2bhk in Paramount Emotions? 2 BHK units in the project are priced at Rs. 2999150 to Rs. 3547500. Trident Embassy.sector 1,Noida Extension Project Review by real flat owners. From front road no one can identify the project as there is no project name board on site from front road,its between devika and paramount emotions. Real flat owners 7 years flat waiting and 6 months as flat residents review: I purchased flat in 2011 with few other friends here in Trident embassy. [luxury by nature. ], it means everything flat residents will get everything from nature,nothing from builder. 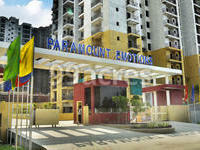 I have a property in paramount emotions, Noida extension, the possession is nearby. I want to sell the property as there is no escalation price. is it worth to sell the property right now or shall wait and go for registry. still I have to pay 60% of amount(26 lacs appx). pl. suggest. Hi Manoj, According to the property experts a property witnesses growth in about 5 years after possession and reaches the maximum by then. Showing some trust towards your property might help but if the property has not witnessed anything till now and there is no scope of development in that area as well for next 5 years. Then you can look to sell it out. But before doing anything, please consult some property expert.